Mr Fairbrother; Colin Fudge; ? ; ? ; Brian Gardiner; ? ; Bill Prior. John Little ; Fred Rossiter; Bert Ravenhill; ? ; ? . Can you help us identify the remaining people in the photo? Or perhaps you are in the photo and remember what it was like to be part of this apprentice intake? If so, please leave a comment below. We are sorry to announce we’ve just received word that Fred Rossiter has passed away. Fred’s funeral will take place on Wednesday 31st October at 11.30 at Gloucester Crematorium. Thanks for the information about your father John, I worked with a fitter called Terry Little in the 1960’s. Is he a relation too? 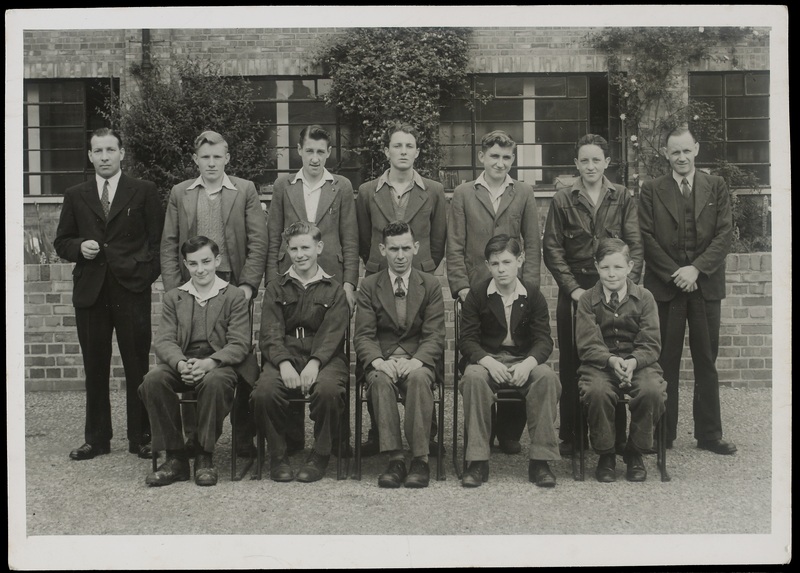 Hello, the ‘apprentice’ on the very left hand side in the front row is my dad, John Little. He worked at Fieldings for the whole of his working life until his retirement completing 50 years service only broken by two years for National Service in the Navy. He died in 2003 aged 70. A former F&P employee, Tony Hope, recently told me of this website.